2 Safety Solutions in 1 Integrated System. 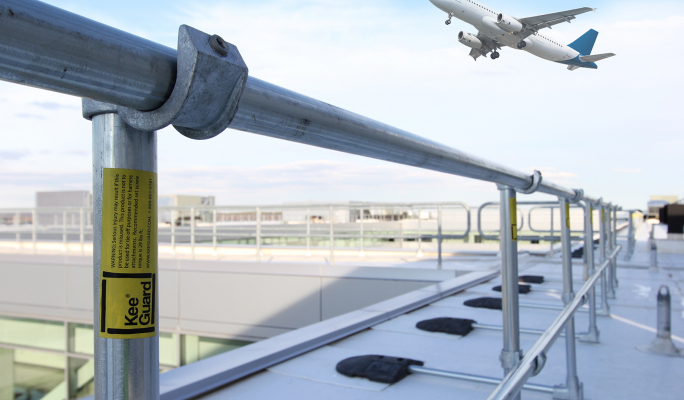 Kee Walk with integrated guardrail is a modular, OSHA compliant approach to fall protection. It provides a secure pathway on the rooftop with the added security of a single or dual-sided handrail system. Kee Walk with Guardrail is engineered for all roof types including pitched metal profile and standing seam roofs up to a 35°slope. Dependable when the Weather Isn't. Accessing sloped roofs presents a challenge especially in wet, windy or snowy conditions. Kee Walk with Guardrail is the fall protection solution wherever sloped rooftops meet inclement weather. Anti-slip treads and corrosion-resistant guardrail provide a durable, safe access solution in any environment. Walk It. Climb It. Traverse It. 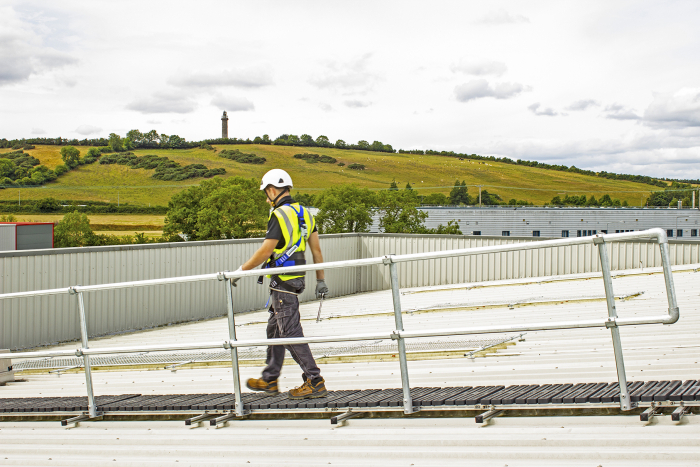 When accessing the roof on a slope, climbing up or traversing an uneven surface, Kee Walk with Guardrail provides a level pathway over a dedicated course. This preserves the rooftop from damage by uniformly distributing the pedestrian load over its route. Our corrosion-resistant guardrail can be installed on one or both sides of the Kee Walk platforms. The option to integrate a single or dual handrail system provides a robust and versatile safe access solution. Download the Kee Walk with Guardrail Brochure HERE.